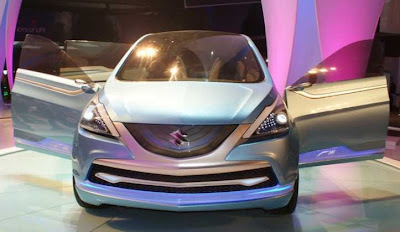 New Cars: Maruti Suzuki India Limited revealed its much awaited Concept R3 model at the Delhi Auto Expo 2010. Maruti Suzuki India Limited revealed its much awaited Concept R3 model at the Delhi Auto Expo 2010. Maruti Suzuki India Limited revealed its much awaited Concept R3 model at the Delhi Auto Expo 2010. The car is definitely an MPV marvel for Indian roads with breathtaking interiors and dynamic exteriors to catch more glimpses from the onlookers. The coach type doors are something reckon but the model is definitely a perfect utility vehicle for Indian customers. Maruti has not revealed the final specifications or the final price details. The car is not expected soon in India as Maruti has made no announcements about the model going into production anytime soon.